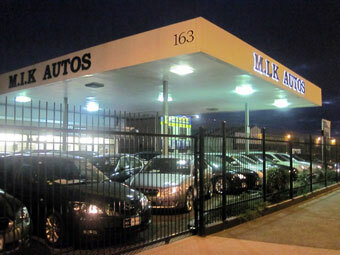 M.I.K Autos is a Registered Motor Vehicle Trader. We have 2 dealerships in near vicinity. Our Head office is located at 163 Great South Road, Otahuhu, Auckland. At this premise you will find premium vehicles family coaches, sports and luxury vehicles. Trade Centre is located at 5 Great South Road, Otahuhu, Auckland. Here you will find economical and budget vehicles. MIK Autos has superior quality vehicles, handpicked and sourced directly from Japan. Latest technology has been used to source and supply vehicle out of Japan. We have unparalleled selection of vehicles from many makes and model. We will be recognised as the leading vehicle dealer and importer in NZ. The success of our business has been built on our premium quality vehicles and exceptional customer service, before and after sales support. At M.I.K Autos you will experience friendly personal customer service. Our staff is professional and highly experienced in the automotive industry. Our feedback from customers represents who we really are.